Once you have your chama members you need to keep them – if a member leaves then that leaves a gap in your chama, both in terms of members and of course a financial gap. That’s why it is your job as the leader to inspire commitment and retain your chama members. When you first set up your chama and become the leader of this group, what first instincts do you possess? Do you desire to hold a members’ meeting and remind them of your authority as the leader and founder? Do you meet the members and try to gain their trust, admiration and respect? You have three different options to use: expert power, referent power and legitimate power. Expert power comes from your experience and ability in the field that you lead. For example if you are an investment consultant by profession, naturally you are an expert in that area. Members recognize a leader’s expertise and follow her based on their respect for this knowledge. Referent power comes from members’ loyalty and happiness with you. If members like you on a personal level and want to please you, then you maintain referent power over the chama members. Next, you may use the legitimate power entrusted to you in your position as founder and leader of the chama. You hold power through the facilities of your office. You may recruit or terminate members. 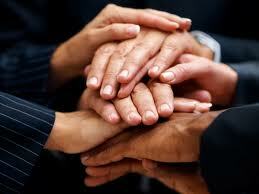 Research shows that expert power and referent power lead to member commitment. Legitimate power results to member compliance with chama rules. Clearly member commitment leads to better chama performance that mere member compliance. Chama leaders should avoid member resistance at all costs. As a leader, lead through referent power and expert power that build member commitment that yields better results for the success of your chama.Here’s how to build commitment in your chama members. Share information with chama members, sometimes with the only purpose to build rapport. Provide timely feedback to members. Show a sense of humour. Focus on objective results. Then never forget to acknowledge their contribution to the success of the chama. Also, to keep your members happy, give them a voice and as a leader listen to your members needs. Review your objectives, if you wanted to invest in real estate within 3 years then have you achieved this? If not how will you retain those members you recruited for that purpose, they may get frustrated and look to join a chama already investing in real estate. You will need to refocus regularly and communicate your new goals to the members. Make them know how important they are to you to keep your chama on track and maybe refocus them to help in other areas, for example can they help with the chama secretarial duties such as taking minutes? Getting them involved in other aspects of the chama will help you to keep them motivated and supportive of your chama. To succeed, treat your chama as a business, take your leader role seriously and have an understanding of where you are going and how you are going to get there and you will reap the benefits and become a successful and thriving chama.